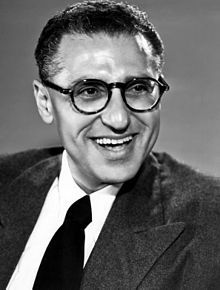 George Dewey Cukor (/ˈkjuːkɔːr/; July 7, 1899 – January 24, 1983) was an American film director. He mainly concentrated on comedies and literary adaptations. 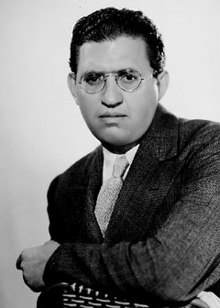 His career flourished at RKO when David O. Selznick, the studio's Head of Production, assigned Cukor to direct several of RKO's major films, including What Price Hollywood? (1932), A Bill of Divorcement (1932), Our Betters (1933), and Little Women (1933). When Selznick moved to MGM in 1933, Cukor followed and directed Dinner at Eight (1933) and David Copperfield (1935) for Selznick and Romeo and Juliet (1936) and Camille (1936) for Irving Thalberg. Cukor was born on the Lower East Side of Manhattan in New York City, the younger child and only son of Hungarian-Jewish immigrants Viktor, an assistant district attorney, and Helén Ilona Gross. His parents selected his middle name in honor of Spanish–American War hero George Dewey. The family was not particularly religious (pork was a staple on the dinner table), and when he started attending temple as a boy, Cukor learned Hebrew phonetically, with no real understanding of the meaning of the words or what they represented. As a result, he was ambivalent about his faith and dismissive of old world traditions from childhood, and as an adult he embraced Anglophilia to remove himself even further from his roots. 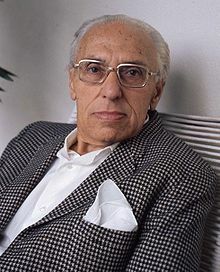 As a child, Cukor appeared in several amateur plays and took dance lessons, and at the age of seven he performed in a recital with David O. Selznick, who in later years became a mentor and friend. As a teenager, Cukor frequently was taken to the New York Hippodrome by his uncle. Infatuated with theatre, he often cut classes at DeWitt Clinton High School to attend afternoon matinees. During his senior year, he worked as a supernumerary with the Metropolitan Opera, earning 50¢ per appearance, and $1 if he was required to perform in blackface. Following his graduation in 1917, Cukor was expected to follow in his father's footsteps and pursue a career in law. He halfheartedly enrolled in the City College of New York, where he entered the Students Army Training Corps in October 1918. His military experience was limited; Germany surrendered in early November, and Cukor's duty ended after only two months. He left school shortly afterwards. Cukor obtained a job as an assistant stage manager and bit player with a touring production of The Better 'Ole, a popular British musical based on Old Bill, a cartoon character created by Bruce Bairnsfather. In 1920, he became the stage manager for the Knickerbocker Players, a troupe that shuttled between Syracuse and Rochester, New York, and the following year he was hired as general manager of the newly formed Lyceum Players, an upstate summer stock company. In 1925 he formed the C.F. and Z. Production Company with Walter Folmer and John Zwicki, which gave him his first opportunity to direct. Following their first season, he made his Broadway directorial debut with Antonia by Hungarian playwright Melchior Lengyel, then returned to Rochester, where C.F. and Z. evolved into the Cukor-Kondolf Stock Company, a troupe that included Louis Calhern, Ilka Chase, Phyllis Povah, Frank Morgan, Reginald Owen, Elizabeth Patterson and Douglass Montgomery, all of whom worked with Cukor in later years in Hollywood. Lasting only one season with the company was Bette Davis. Cukor later recalled, "Her talent was apparent, but she did buck at direction. She had her own ideas, and though she only did bits and ingenue roles, she didn't hesitate to express them." For the next several decades, Davis claimed she was fired, and although Cukor never understood why she placed so much importance on an incident he considered so minor, he never worked with her again. Cukor was then assigned to One Hour with You (1932), an operetta with Maurice Chevalier and Jeanette MacDonald, when original director Ernst Lubitsch opted to concentrate on producing the film instead. At first the two men worked well together, but two weeks into filming Lubitsch began arriving on the set on a regular basis, and he soon began directing scenes with Cukor's consent. Upon the film's completion, Lubitsch approached Paramount general manager B. P. Schulberg and threatened to leave the studio if Cukor's name wasn't removed from the credits. When Schulberg asked him to cooperate, Cukor filed suit. He eventually settled for being billed as assistant director and then left Paramount to work with David O. Selznick at RKO Studios. Cukor quickly earned a reputation as a director who could coax great performances from actresses and he became known as a "woman's director", a title he resented. Despite this reputation, during his career, he oversaw more performances honored with the Academy Award for Best Actor than any other director: James Stewart in The Philadelphia Story (1940), Ronald Colman in A Double Life (1947), and Rex Harrison in My Fair Lady (1964). One of Cukor's earlier ingenues was actress Katharine Hepburn, who debuted in A Bill of Divorcement (1932) and whose looks and personality left RKO officials at a loss as to how to use her. Cukor directed her in several films, both successful, such as Little Women (1933) and Holiday (1938), and disastrous, such as Sylvia Scarlett (1935). Cukor and Hepburn became close friends off the set. Cukor was hired to direct Gone with the Wind by Selznick in 1936, even before the book was published. He spent the next two years involved with pre-production, including supervision of the numerous screen tests of actresses anxious to portray Scarlett O'Hara. Cukor favored Hepburn for the role, but Selznick, concerned about her reputation as "box office poison", would not consider her without a screen test, and the actress refused to film one. Of those who did, Cukor preferred Paulette Goddard, but her supposedly illicit relationship with Charlie Chaplin (they were, in fact, secretly married) concerned Selznick. Between his Wind chores, the director assisted with other projects. He filmed the cave scene for The Adventures of Tom Sawyer (1938), and, following the firing of its original director Richard Thorpe, Cukor spent a week on the set of The Wizard of Oz (1939). Although he filmed no footage, he made crucial changes to the look of Dorothy by eliminating Judy Garland's blonde wig and adjusting her makeup and costume, encouraging her to act in a more natural manner. Additionally, Cukor softened the Scarecrow's makeup and gave Margaret Hamilton a different hairstyle for the Wicked Witch of the West, as well as altering her makeup and other facial features. Cukor also suggested that the studio cast Jack Haley, on loan from 20th Century Fox, as the Tin Man. Cukor spent many hours coaching Vivien Leigh and Olivia de Havilland before the start of filming Wind, but Clark Gable resisted his efforts to get him to master a Southern accent. However, despite rumors about Gable being uncomfortable with Cukor on the set, nothing in the internal memos of David O. Selznick indicates or suggests that Clark Gable played any role in Cukor's dismissal from the film. Rather, they show Selznick's mounting dissatisfaction with Cukor's slow pace and quality of work. From a private letter from journalist Susan Myrick to Margaret Mitchell in February 1939: "George [Cukor] finally told me all about it. He hated [leaving the production] very much he said but he could not do otherwise. In effect he said he is an honest craftsman and he cannot do a job unless he knows it is a good job and he feels the present job is not right. For days, he told me he has looked at the rushes and felt he was failing...the things did not click as it should. Gradually he became convinced that the script was the trouble...So George just told David he would not work any longer if the script was not better and he wanted the [Sidney] Howard script back...he would not let his name go out over a lousy picture...and bull-headed David said 'OK get out!'" Selznick had already been unhappy with Cukor ("a very expensive luxury") for not being more receptive to directing other Selznick assignments, even though Cukor had remained on salary since early 1937; and in a confidential memo written in September 1938, four months before principal photography began, Selznick flirted with the idea of replacing him with Victor Fleming. "I think the biggest black mark against our management to date is the Cukor situation and we can no longer be sentimental about it.... We are a business concern and not patrons of the arts..." Cukor was relieved of his duties, but he continued to work with Leigh and Olivia de Havilland off the set. Various rumors about the reasons behind his dismissal circulated throughout Hollywood. Selznick's friendship with Cukor had crumbled slightly when the director refused other assignments, including A Star is Born (1937) and Intermezzo (1939). Given that Gable and Cukor had worked together before (on Manhattan Melodrama, 1934) and Gable had no objection to working with him then, and given Selznick's desperation to get Gable for Rhett Butler, if Gable had any objections to Cukor, certainly they would have been expressed before he signed his contract for the film. Yet, writer Gore Vidal, in his autobiography Point to Point Navigation, recounted that Gable demanded that Cukor be fired off Wind because, according to Cukor, the young Gable had been a male hustler and Cukor had been one of his johns. This has been confirmed by Hollywood biographer E.J. Fleming, who has recounted that, during a particularly difficult scene, Gable erupted publicly, screaming: "I can't go on with this picture. I won't be directed by a fairy. I have to work with a real man." Cukor's dismissal from Wind freed him to direct The Women (1939), which has an all-female cast, followed by The Philadelphia Story (1940). He also directed Greta Garbo, another of his favorite actresses, in Two-Faced Woman (1941), her last film before she retired from the screen. In 1942, at the age of 43, Cukor enlisted in the Signal Corps. Following basic training at Fort Monmouth, he was assigned to the old Paramount studios in Astoria, Queens (where he had directed three films in the early 1930s), although he was permitted to lodge at the St. Regis Hotel in Manhattan. Working with Irwin Shaw, John Cheever and William Saroyan, among others, Cukor produced training and instructional films for army personnel. Because he lacked an officer's commission, he found it difficult to give orders and directions to his superiors. Despite his efforts to rise above the rank of private—he even called upon Frank Capra to intercede on his behalf—he never achieved officer's status or any commendations during his six months of service. In later years, Cukor suspected his homosexuality impeded him from receiving any advances or honors, although rumors to that effect could not be confirmed. The remainder of the decade was a series of hits and misses for Cukor. Both Two-Faced Woman and Her Cardboard Lover (1942) were commercial failures. More successful were A Woman's Face (1941) with Joan Crawford and Gaslight (1944) with Ingrid Bergman and Charles Boyer. During this era, Cukor forged an alliance with screenwriters Garson Kanin and Ruth Gordon, who had met in Cukor's home in 1939 and married three years later. Over the course of seven years, the trio collaborated on seven films, including A Double Life (1947) starring Ronald Colman, Adam's Rib (1949), Born Yesterday (1950), The Marrying Kind (1952), and It Should Happen to You (1954), all featuring Judy Holliday, another Cukor favorite, who won the Academy Award for Best Actress for Born Yesterday. In December 1952, Cukor was approached by Sid Luft, who proposed the director helm a musical remake of A Star is Born (1937) with his then-wife Judy Garland in the lead role. Cukor had declined to direct the earlier film because it was too similar to his own What Price Hollywood? (1932), but the opportunity to direct his first Technicolor film, first musical, and work with screenwriter Moss Hart and especially Garland appealed to him, and he accepted. Getting the updated A Star Is Born (1954) to the screen proved to be a challenge. Cukor wanted Cary Grant for the male lead and went so far as to read the entire script with him, but Grant, while agreeing it was the role of a lifetime, steadfastly refused to do it, and Cukor never forgave him. The director then suggested either Humphrey Bogart or Frank Sinatra tackle the part, but Jack L. Warner rejected both. Stewart Granger was the front runner for a period of time, but he backed out when he was unable to adjust to Cukor's habit of acting out scenes as a form of direction. James Mason eventually was contracted, and filming began on October 12, 1953. As the months passed, Cukor was forced to deal not only with constant script changes but a very unstable Garland, who was plagued by chemical and alcohol dependencies, extreme weight fluctuations, and real and imagined illnesses. In March 1954, a rough cut still missing several musical numbers was assembled, and Cukor had mixed feelings about it. When the last scene finally was filmed in the early morning hours of July 28, 1954, Cukor already had departed the production and was unwinding in Europe. The first preview the following month ran 210 minutes and, despite ecstatic feedback from the audience, Cukor and editor Folmar Blangsted trimmed it to 182 minutes for its New York premiere in October. The reviews were the best of Cukor's career, but Warner executives, concerned the running time would limit the number of daily showings, made drastic cuts without Cukor, who had departed for Pakistan to scout locations for the epic Bhowani Junction in 1954-1955. At its final running time of 154 minutes, the film had lost musical numbers and crucial dramatic scenes, and Cukor called it "very painful." He was not included in the film's six Oscar nominations. Over the next ten years, Cukor directed a handful of films with varying success. Les Girls (1957) won the Golden Globe Award for Best Motion Picture – Musical or Comedy, and Wild Is the Wind (1957) earned Oscar nominations for Anna Magnani and Anthony Quinn, but neither Heller in Pink Tights nor Let's Make Love (both 1960) were box office hits. Another project during this period was the ill-fated Something's Got to Give, an updated remake of the comedy My Favorite Wife (1940). Cukor liked leading lady Marilyn Monroe but found it difficult to deal with her erratic work habits, frequent absences from the set, and the constant presence of her acting coach Paula Strasberg. After 32 days of shooting, the director had only 7½ minutes of usable film. Then Monroe travelled to New York to appear at a birthday celebration for John F. Kennedy at Madison Square Garden, where she serenaded the president. Studio documents released after Monroe's death confirmed that her appearance at the political fundraising event was approved by Fox executives. The production came to a halt when Cukor had filmed every scene not involving Monroe and the actress remained unavailable. 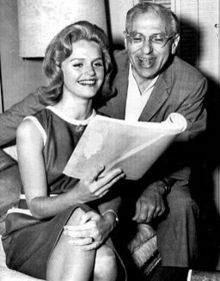 20th Century Fox executive Peter Levathes fired her and hired Lee Remick to replace her, prompting co-star Dean Martin to quit because his contract guaranteed he would be playing opposite Monroe. With the production already $2 million over budget and everyone back at the starting gate, the studio pulled the plug on the project. Less than two months later, Monroe was found dead in her home. Two years later, Cukor achieved one of his greatest successes with My Fair Lady (1964). Throughout filming there were mounting tensions between the director and designer Cecil Beaton, but Cukor was thrilled with leading lady Audrey Hepburn, although the crew was less enchanted with her diva-like demands. Although several reviews were critical of the film – Pauline Kael said it "staggers along" and Stanley Kauffmann thought Cukor's direction was like "a rich gravy poured over everything, not remotely as delicately rich as in the Asquith-Howard 1937 [sic] Pygmalion" — the film was a box office hit which won him the Academy Award for Best Director, the Golden Globe Award for Best Director, and the Directors Guild of America Award after having been nominated for each several times. It was an open secret in Hollywood that Cukor was gay, at a time when society was against it, although he was discreet about his sexual orientation and "never carried it as a pin on his lapel," as producer Joseph L. Mankiewicz put it. He was a celebrated bon vivant whose luxurious home was the site of weekly Sunday afternoon parties attended by closeted celebrities and the attractive young men they met in bars and gyms and brought with them. At least once, in the midst of his reign at MGM, he was arrested on vice charges, but studio executives managed to get the charges dropped and all records of it expunged, and the incident was never publicized by the press. In the late 1950s, Cukor became involved with a considerably younger man named George Towers. He financed his education at the Los Angeles State College of Applied Arts and Sciences and the University of Southern California, from which Towers graduated with a law degree in 1967. That fall Towers married a woman, and his relationship with Cukor evolved into one of father and son, and for the remainder of Cukor's life the two remained very close. By the mid-1930s, Cukor was not only established as a prominent director but, socially, as an unofficial head of Hollywood's gay subculture. His home, redecorated in 1935 by gay actor-turned-interior designer William Haines with gardens designed by Florence Yoch and Lucile Council, was the scene of many gatherings for the industry's homosexuals. The close-knit group reputedly included Haines and his partner Jimmie Shields, writer Somerset Maugham, director James Vincent, screenwriter Rowland Leigh, costume designers Orry-Kelly and Robert Le Maire, and actors John Darrow, Anderson Lawler, Grady Sutton, Robert Seiter, and Tom Douglas. Frank Horn, secretary to Cary Grant, was also a frequent guest. Cukor's friends were of paramount importance to him and he kept his home filled with their photographs. Regular attendees at his famed soirées included Katharine Hepburn and Spencer Tracy, Joan Crawford and Douglas Fairbanks, Jr., Lauren Bacall and Humphrey Bogart, Claudette Colbert, Marlene Dietrich, Laurence Olivier and Vivien Leigh, actor Richard Cromwell, Stanley Holloway, Judy Garland, Gene Tierney, Noël Coward, Cole Porter, director James Whale, costume designer Edith Head, and Norma Shearer, especially after the death of her first husband Irving Thalberg. He often entertained literary figures like Sinclair Lewis, Theodore Dreiser, Hugh Walpole, Aldous Huxley, Lesley Blanch, Ferenc Molnár, and close friend Somerset Maugham. Frances Goldwyn, second wife of studio mogul Sam Goldwyn, long considered Cukor to be the love of her life, although their relationship remained platonic. According to biographer A. Scott Berg, Frances even arranged for Cukor's burial to be adjacent to her own plot at Forest Lawn Memorial Park Cemetery. ^ "NLS Other Writings: Say How, C". National Library Service for the Blind and Physically Handicapped. Retrieved December 17, 2018. ^ "Obituary". Variety. January 26, 1983. ^ Kipen, David. "Flawed look at career of blacklisted director", San Francisco Chronicle, August 29, 2001. Accessed September 14, 2009. "The American 20th century went to high school at DeWitt Clinton High in the Bronx. Multicultural before there was a name for it – at least a polite one --Clinton nurtured such diverse and influential figures as Bill Graham, James Baldwin, George Cukor, Neil Simon and Abraham Lincoln Polonsky." ^ Levy, Emanuel, George Cukor: Master of Elegance. New York: William Morrow & Company, Inc. 1994. ISBN 0-688-11246-3, pp. 26–27. ^ "The Wizard of Oz at Turner Classic Movies". Tcm.com. Retrieved 2010-05-03. ^ Myrick, Susan White (1986), Columns in Hollywood: Reports from the Gwtw Sets, Mercer University Press. ^ Hollywood Studio Magazine, "The Great Directors" September 1986. ^ Vidal, Gore (2007). Point to Point Navigation: A Memoir. New York: Random House. p. 135. ISBN 978-0-307-27501-1. ^ Fleming, E. J. (2005). The Fixers: Eddie Mannix, Howard Strickling, and the MGM Publicity Machine. Jefferson NC: McFarland. p. 182. ISBN 978-0-7864-2027-8. ^ a b Levy, p. 271. ^ McGilligan, pp. 307, 347–48. ^ Mann, William J.; Wisecracker: The Life and Times of William Haines, Hollywood's first Openly Gay Star; New York: Viking, 1998; pp. 253, 255, 256. ^ Hart-Davis, Rupert (1985). Hugh Walpole. Hamish Hamilton. pp. 349, 360, 365, 369. ISBN 0-241-11406-3. ^ Berg, A. Scott (1989). Goldwyn: A Biography. New York, NY: Riverhead Books. pp. 135–139, etc. ISBN 9780394510590. ^ Wilson, Scott. Resting Places: The Burial Sites of More Than 14,000 Famous Persons, 3d ed. : 2 (Kindle Locations 10585-10586). McFarland & Company, Inc., Publishers. Kindle Edition. ^ Farber, Stephen (26 December 2013). "Elegant Provocateur in a Puritanical Era". The New York Times. Retrieved 30 December 2013. Wikimedia Commons has media related to George Cukor.